ITALY: Civil Unions Vote Postponed Again - Joe.My.God. Italy on Wednesday postponed voting on legislation that offers homosexual couples legal recognition as some allies of Prime Minister Matteo Renzi pushed for the removal of a provision that allows limited adoption rights. This latest delay represented a setback for Renzi, who had promised to enact the law last year but has faced implacable opposition both within parliament and from the Roman Catholic Church, which continues to wield great influence in Italy. Fearing possible defections by Catholic members of the ruling center-left Democratic Party (PD) during secret voting on a battery of amendments, the PD chief whip in the Senate, Luigi Zanda, asked to put off the scheduled voting until next week. The delay would allow “a period of reflection so we can pull the political threads back together and find the path that allows us to proceed in an orderly fashion”, Zanda said. 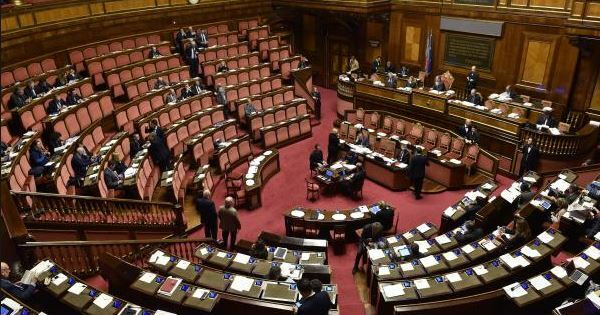 The bill was debated for only a few hours on Tuesday and Senate President Pietro Grasso said the discussion would restart on Feb. 23 at the earliest.